Predicting the future is hard, unless you have a fake Jamaican accent, or read this story letting you in on what Chi's top culinary minds foresee for 2013. Brad Rubin, Owner, Eleven City Diner "There will be fewer and fewer restaurants using an '&' in their name opening up. Maybe replaced by more obscure, underused and under-appreciated punctuation like the semicolon or the asterisk. Alfredo Sandoval, Owner, Mercadito Hospitality Group "I foresee a trend away from ethnic-focused restaurants. We will see restaurants whose cuisines are less focused on one region or country and more of a combination of different regions and cultures from around the world. Michael Kornick, Chef/Owner, MK "RPM Steak will crush it! Gibsons will not be affected -- it's hard to unseat the top dog! Eataly will make everyone in Chicago weep with joy and happiness! Mike and Pat Sheerin, Chef/Owners, Trenchermen "More Michelin stars in Chicago, Grace gets four stars from Phil Vettel, and a ramen explosion in [the city]." Jason Hammel, Chef/Owner, Lula Cafe/ Nightwood "Logan Square will continue to posit itself as the premiere culinary neighborhood in the city, with new projects like Reno and Billy Sunday, with new collaborations between its various chefs and mixologists, and with its local market surpassing all others as the best in the city. 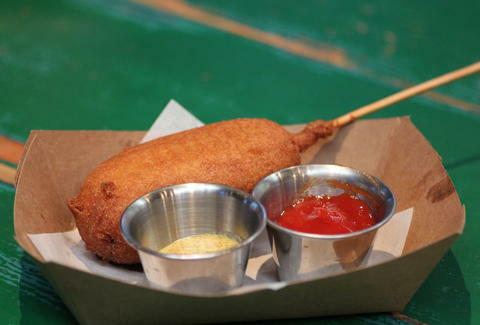 Charlie McKenna, Chef/Owner, Lillie's Q "Corn dogs are gonna be the next cupcakes. And more BBQ spots — again."